Men's safron shirt LP 1895-5 with double collar. The man's saffron shirt in regular fit. 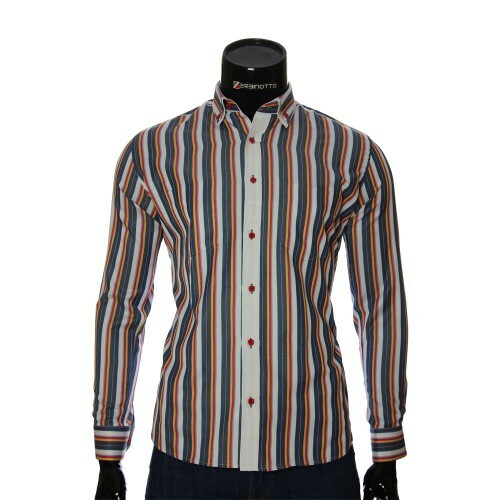 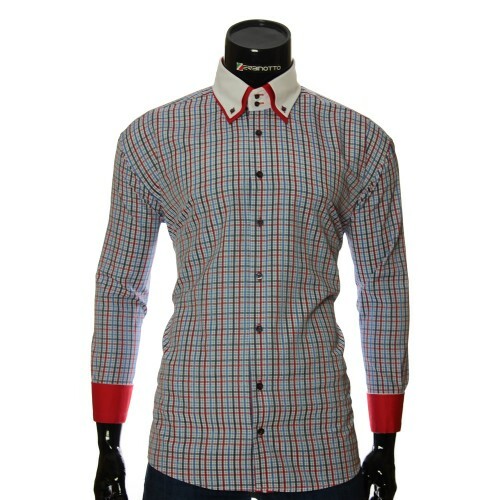 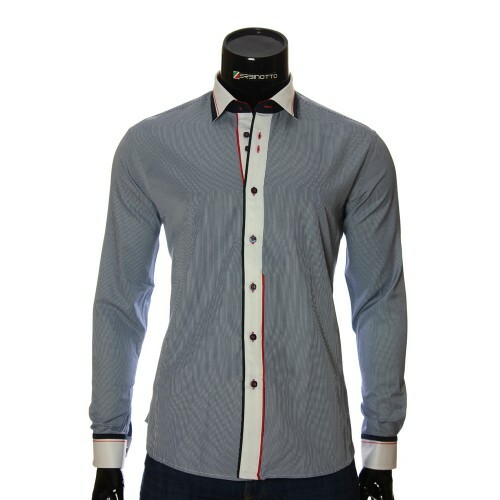 The shirt is made in color with inserts in the style of Burberry. The brand introduced this model of the men's shirt, using such strokes as a double collar stand Button Down on buttons and two-sided cuffs in an angular shape. And on the collar and cuffs, as a decoration, sewn a Burberry pattern with a print. 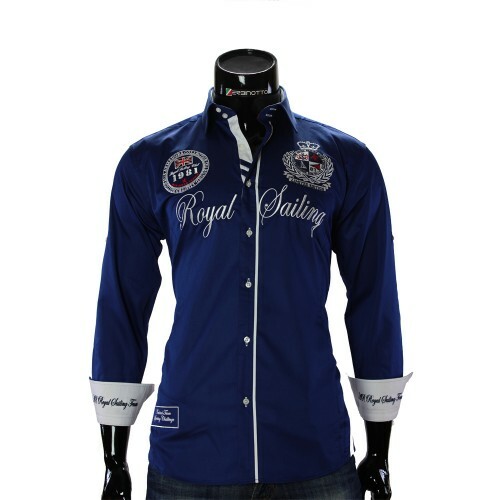 The top line of the buttons three is unlikely. The inner sides of the collar and the button lines are highlighted with Burberry inserts with a print. Men's shirts with a double collar are your style and extravagance. 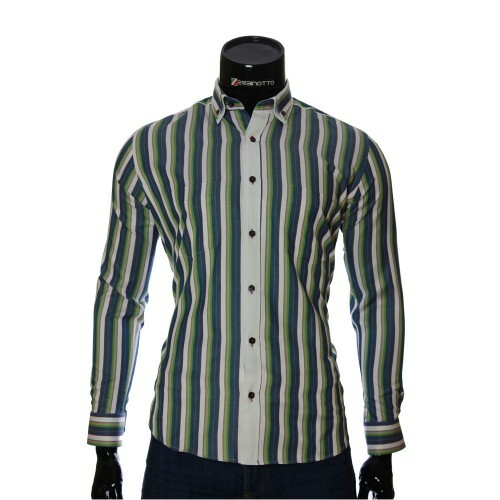 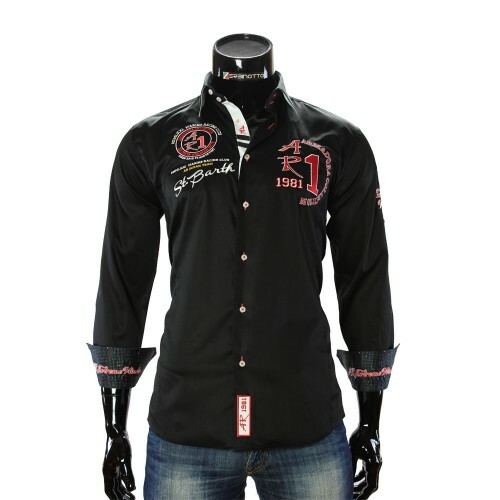 Therefore, our online store of men's shirts offers to buy men's shirts with a double collar at affordable prices.